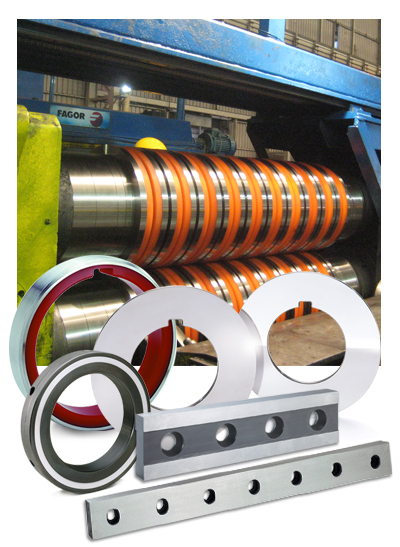 Slitting Lines – ASKO, Inc.
As a trusted partner for all your coil slitting needs, ASKO provides slitter tooling systems and spare parts for ferrous and non-ferrous coil slitting. Whether you need a complete slitter tooling package or a small number of replacement parts, we have the products and technical support to meet your needs. Slitter knives are available in a wide range of grades, each suited to the demands of customers’ applications. Ask us about our HXT slitter knives for processing AHSS! Depending upon your application, we provide slitter tooling in various tolerances. For slitting the lightest gauges, the finest slitter knife and spacer tolerances are often required. For these applications, ASKO tooling is manufactured to the most exacting precision. Slitter systems often include scrap chopper knives and shear knives, and ASKO manufactures these critical parts. To add value to the slitter knives we produce for slitting line applications, our field and customer service engineers can work closely with customers on performance, slitter tooling selection, operator training and maintenance. Additionally, our proprietary EdgeMaster™ slitter set-up software is easily configured to meet the most demanding requirements of any slitter operator. Software training is available both onsite and through web conferencing. ASKO also manufactures side trimmer, slitter knives and accessories for ERW Pipe and Tube and Spiral Welded Pipe Mills.